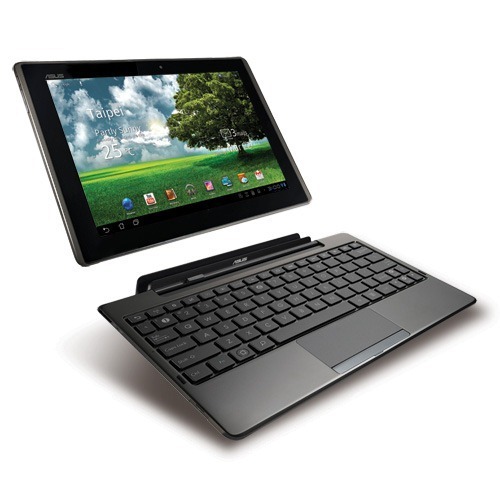 The ASUS Eee Pad Transformer TF101 was (and arguably is) one of the most talked about Android tablets, and for good reason – it packed premium hardware, is developer-friendly and still receives support from its manufacturer. Yes, the Transformer TF101 received Ice Cream Sandwich just a few days ago and it has already been rooted on it. We’ve got an easy step-by-step guide ready after the jump for those of you who are on Windows. Check it out after the jump! News of the rooting method comes straight from XDA-Developers – a popular meeting place for Android enthusiasts, developers and hackers – in the form of a thread posted by respected developer rhcp0112345 in which he discusses his root for the Transformer TF101 on ICS (using OS X / Linux). In the same thread, developer chan32167 posted an adaption of rhcp’s root for Windows for which we have prepared a step-by-step guide. 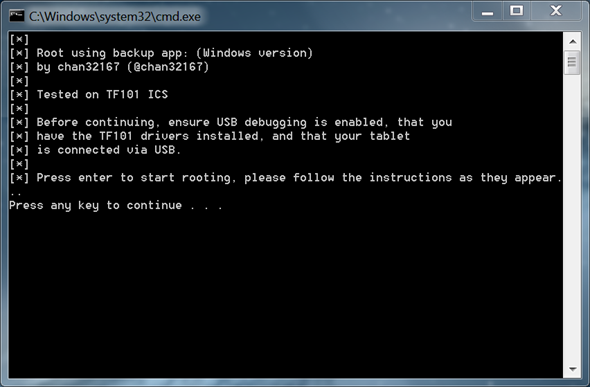 Please note that this method is for rooting the original Transformer (TF101) using Windows. For Mac and Linux, a different method has to be followed and for that you can check out the link to the official thread at the end of the post. Step 1: If you haven’t already, download and install the latest drivers for your ASUS Transformer TF101 [Official Website]. Step 2: Pick up your Transformer. Navigate to Settings > Applications > Development and enable USB debugging. Step 3: Connect your Transformer to your Windows PC using a USB cable. Step 4: Download tf101 ics root.zip from the third reply here [Official Thread]. Unzip it using a suitable software (we recommend 7zip) and then launch run.bat. Step 5: Your device will now be detected Follow on-screen instructions. If you followed the steps correctly, your ASUS Transformer TF101 will be rooted on Android 4.0.3 Ice Cream Sandwich. To confirm this, look for a Superuser app in your apps drawer. For queries, check out the official thread here on XDA-Developers.